ERBFacility operates four Working Groups (WGs). 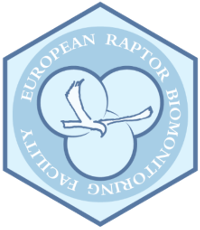 Together, the 4 WGs address the 3 Research Coordination Objectives and the 3 Capacity-building Objectives (see Aim and Objectives) and thus deliver the European Raptor Biomonitoring Facility. Each WG has established a ‘WG Core Group’ to develop and implement WG work plans in line with the WG tasks detailed in the Action's Memorandum of Understanding and the annual work plans and budgets approved by the Management Committee. Progress is advanced and validated in WG meetings and workshops. Cross-collaboration between the four WGs ensures networking, coordination and continuity.